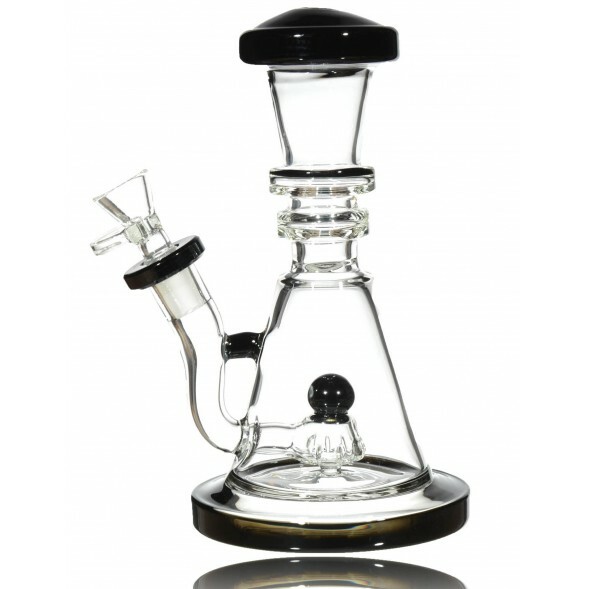 Lab Rat - 8” Black and Clear Bong -The Greatest Online Smoke Shop! 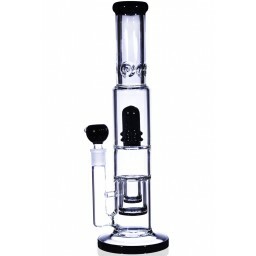 Showerhead perc ensures the smoke is properly filtered. Mouthpiece bulges for a comfortable smoking experience. 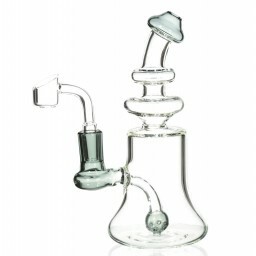 Clear body allows you to watch as the smoke fills the piece. 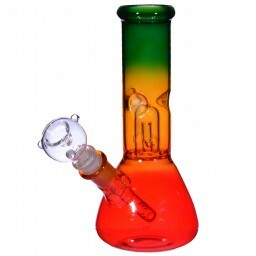 Rings in the neck of the pipe provide a dope look and extra grip. 3” chamber can hold plenty of smoke. 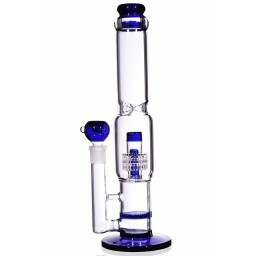 Grab this simple yet sleek bong and upgrade your collection today! 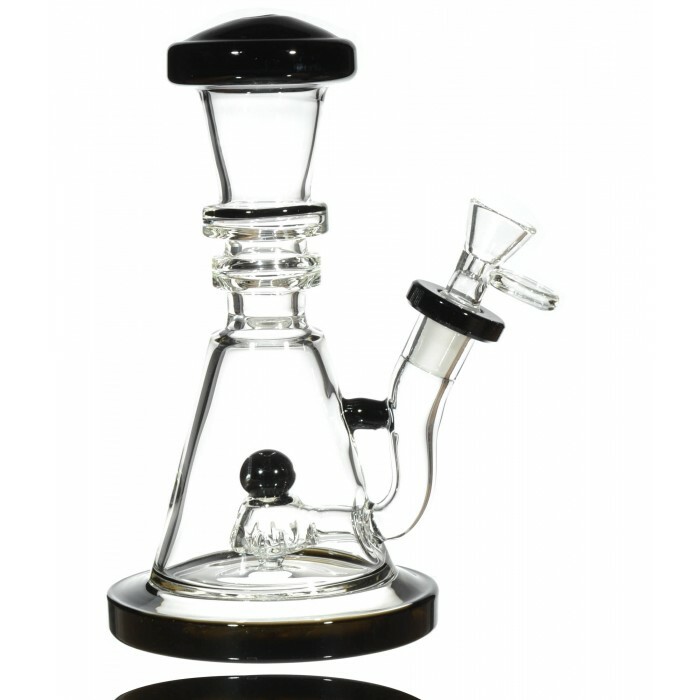 Not only does it look straight out of a laboratory, this piece is super effective in providing high-quality hits. 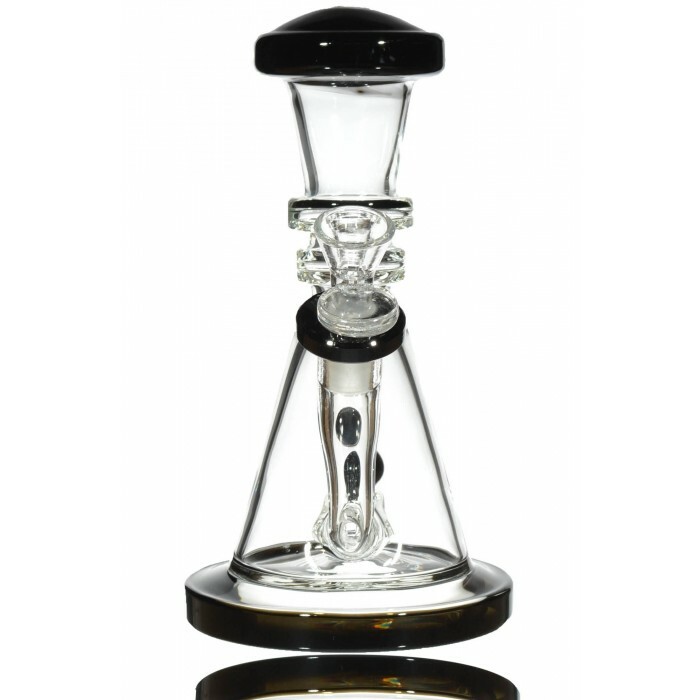 The showerhead perc efficiently filters and cools each hit, which you’ll be able to watch through the clear chamber. 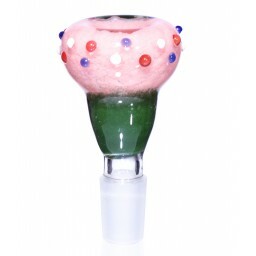 For added style, there’s rings around the neck of the bong. They’re practical too, as they provide extra grip to keep the piece in your hands. 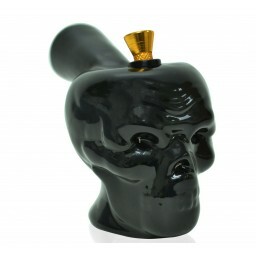 Black accents highlight the piece giving it a unique look.The black mouthpiece comes to a hill-like bulge, creating a comfortable smoking experience. 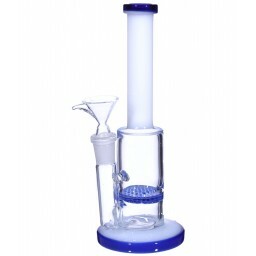 Plus, the bong comes with its own 14mm bowl, so you can start smoking right away. 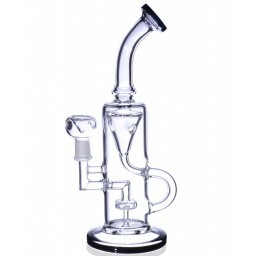 At 8” with a 3” chamber, this piece can pack a punch. See what we’ve been cooking in the lab!